Introducing the brand new Aqua Eco Air Pump range. We have had these on trial for well over a year and have been so pleased with these, not only do they offer great value for money they are also very low wattage and powerful! 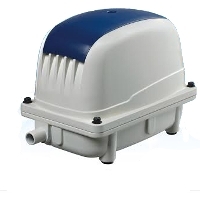 These are in our opinion a top quality diaphragm air pump with cheaper running costs than any other air pump on the market today.